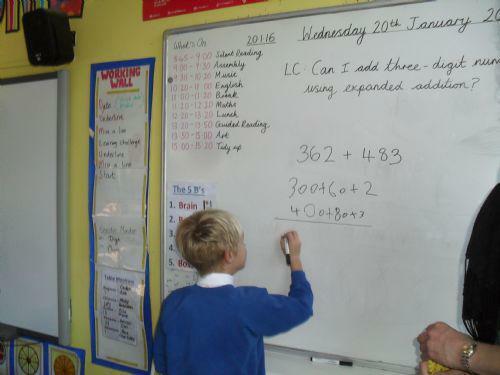 This week in Maths we have been using the expanded addition method to add 2, 3 and 4 digit numbers. We are now getting much more confident at estimating our answer and checking using this method. We have even been taking it in turns to be mini teacher and teach the rest of the class how to solve problems using this method.